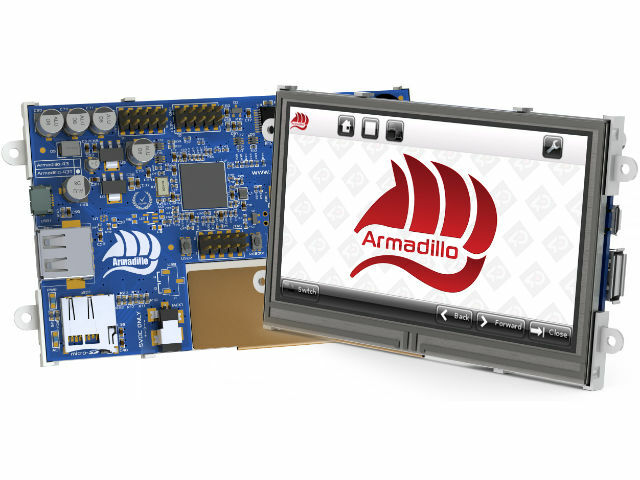 Armadillo-43T from 4D SYSTEMS is a complete module with an RGB TFT LCD Display, based on Linux OS. At the heart of it lies the Broadcom BCM2835 chip that connects the ARM1176JZF-S CPU and the VideoCore IV GPU in a single SoC (System-On-Chip). The Armadillo-43T module with a display is primarily used in control panels of various industrial devices, as well as any other devices running on Raspbian/Debian operating systems, where there’s a need of displaying and entering data.